ItemRoads 092 - Albany Road by H. Loftie, Sheet 1 [scale: 40 chains to an inch]. ItemRoads 093 - Albany Road, Sheet 2 by H. Loftie Fieldbook 1 [scale: 40 chains to an inch]. ItemRoads 095 - Part of Albany Road, vicinity of the Hotham River, sheet 1 by H.S. Randford [scale: 20 chains to an inch]..
ItemRoads 096 - Part of Albany Road, vicinity of the Bannister townsite, Sheet 2 by H.S. Ranford [scale: 30 chains to an inch]. Item Roads 098 - Part of the Albany Road, Sheet 4 (crosses Beaufort River) by H.S. Ranford [scale: 30 chains to an inch]. Part of the Albany Road, Sheet 4 (crosses Beaufort River) by H.S. Ranford [scale: 30 chains to an inch]. 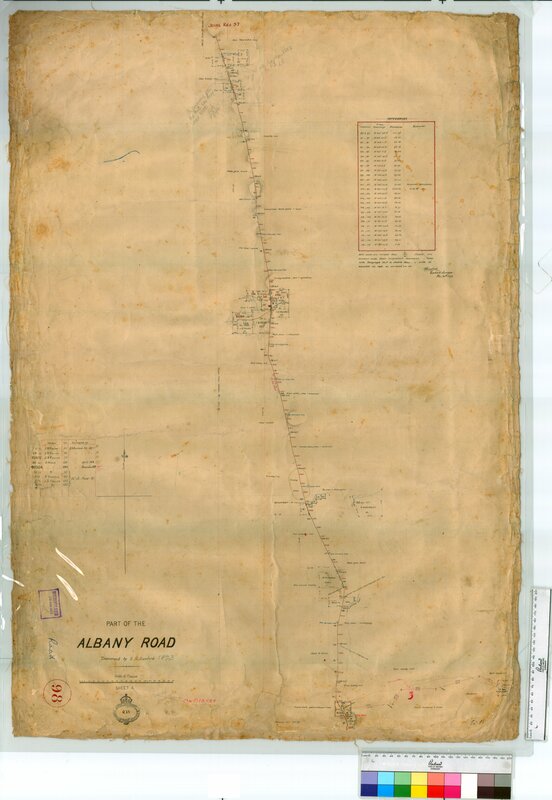 Confirm Item Request: Part of the Albany Road, Sheet 4 (crosses Beaufort River) by H.S. Ranford [scale: 30 chains to an inch].